Android M : Full Features Explained! Android for sure has gotten better in terms of look and feel, but stability is still and issue. Bugs are fixed, but they aren't ironed out! 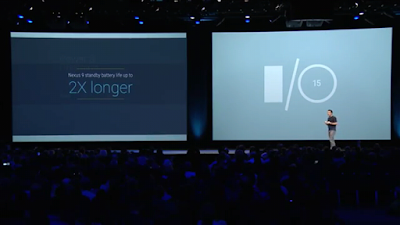 So this year at Google IO 2015, Sundar Pichai announced as, " Lollipop changed the look and feel of Android, with the Android M dev preview release they're going back to the basics ". Which hopefully translates to Polish & Detail, ironing out 1000's of bugs! So is Android M developer preview, really a big upgrade ? Let's find out! Mobile Payments : Android Pay. Have you ever noticed, whenever you click on install button in play store a list of things pop-up? What are those? Well, Those simply are the app permissions(location, camera, dailer, microphone.etc) that can be accessed by an App, anytime a app needs it. Those cannot be controlled by any user in lollipop, Many of the users just blindly tap on the install button without even thinking about it for a second. Spoiler : Apple was constantly taunting at Google about this in their keynote. 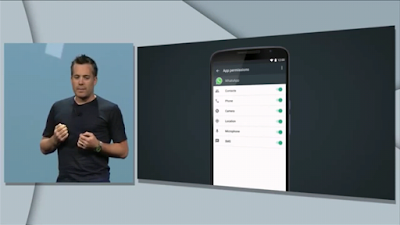 So Android M gives users the control over their privacy settings. Now you can give/revoke any permission from any Particular App. Just in case think that you don't want Facebook to access your location through the app then, simply head over to Settings>Apps> Facebook>Permissions>Toggle off Location. Thus the app will be restricted from finding your location, It's that simple ! 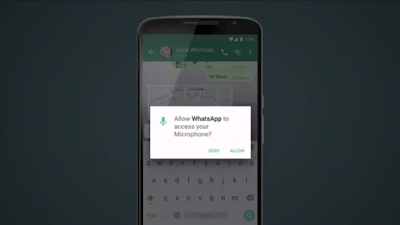 Also now, when you install any App from Play store, you won't get a prompt regarding App permissions, As the App will now ask you to grant permission while accessing, let's say Camera in Instagram or Microphone in WhatsApp. Without your permission any App cannot perform a specific feature(Sharing location, capturing photos, Using Microphone for voice notes). 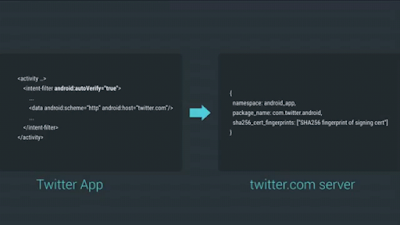 For you Developers this feature is applied, when you've compiled your app with the new M Sdk. A recent study says that People nowadays prefer to stay up on mobile more often than, say a computer! Mobile phone can simply do some tasks, that weren't possible before. Notice whenever you're in any app that has in-app links, you're often asked to click any supported app when you click on that link. let's say you're in Pinterest app, if you click on any pin, we're often prompted to choose an app, that supports web-surfing(chrome, opera mini) as the Pin will redirect you to a web page! Developers in particular have 2 choices (Use Google's Webview or Give a prompt to use a 3rd party app to embed it in their app ). Well many developers prefer to use app prompts, as embedding webview is a time consuming process! Users, however switch to third party apps as they might have signed in with a particular account, as sometimes it might re-direct you to social site. 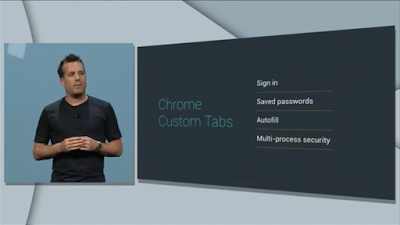 Hence Google brings in Chrome custom tabs! A simple way to get the content perfectly without losing that same app experience. Now whenever you click on a link in any app, a custom chrome tab opens up as an overlay upon the app, it also has full power of chrome. So now no need to worry if that link sends you to a Facebook post as you've already logged in your account on chrome, earlier. 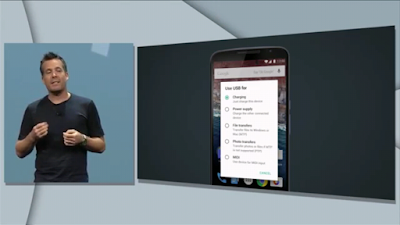 With Android M you no longer will see the app dialog prompt, that asks you to choose an specific app when you click on any link, anywhere in the system. Now Android Platform will auto verify, if social networks like Twitter, Google Plus claim in their apps that they own a particular site, & if user clicks on that site link, the user will be redirected to the particular app, say Twitter or Google Plus!. So now if i click on a Twitter link from my mailbox, I'll be redirected automatically to twitter app, without that dialog box prompt(as above)!. 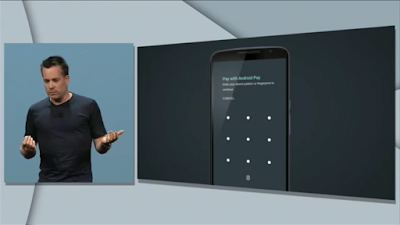 Google also took a moment to introduce Apple Pay, a new simple way to pay with the help of nfc with just a tap! Woah, I'm sorry Android Pay! Android Pay just works as Apple pay, You simply need to unlock your phone & tap to pay(via NFC). As this feature was not demonstrated at IO i'm assuming in future, Google's devices would have an fingerprint scanner & would act same as iPhones in terms of Android Pay. Google claims that it's fast & secure. Here though Google has an edge over Apple, as Android is an open source platform & many companies like Samsung, Htc have already Incorporated fingerprint scanners on some of their devices, so there's a great momentum ahead! 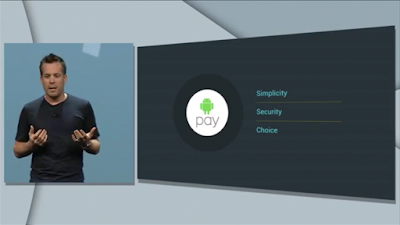 Android pay works with any device that has Nfc chip inside. Your existing debits & credit cards can be added here, also developers can integrate Android Pay within their app. Google was first with Google Wallet, but it didn't worked out that well for them. Crazy isn't it? Apple was the one making fun of Android with Nfc in their ios7 keynote, but see now?! #applepay. Many companies are integrating fingerprint scanner in their devices, but they also have to go further with the Software part, as previously Android didn't had in-built fingerprint support . But now with Android M device manufacturers like Samsung, Htc, Motorola can take a sigh of relief! It gives a standard API to the developers to work across variety of sensors. 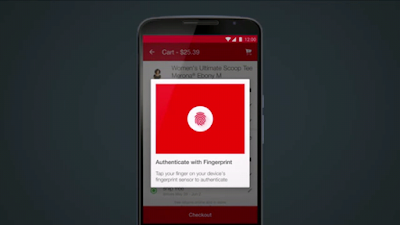 Fingerprint scanner works for Android Pay, for unlocking your device & also for making play store purchases. As developers can integrate Fingerprint support in their app, you can even buy from their stores through the app by simply scanning your finger. Part of which we're already familiar due to the competition ! Well if you have an Android phone, you know what it feels like, when you're off the charger! But since Android Kitkat, battery improvements are observed in android, most importantly during standby times. Well lollipop was a mixture of it. Is the battery lasting long?, it's a hit or a miss! 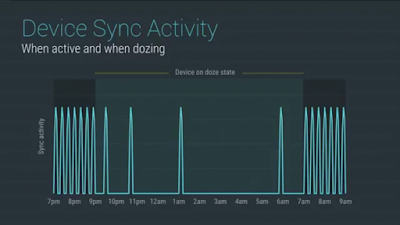 So with Android M, Google brings us Doze, a state of the device where android learns when you use your device the most & when you keep your device off on standby, this in turn reduces the background activities reducing app freshness, as now when you will turn your device on, the features will work as normal extending battery life! Alarms & chat requests can be accepted during doze state without eating your battery. 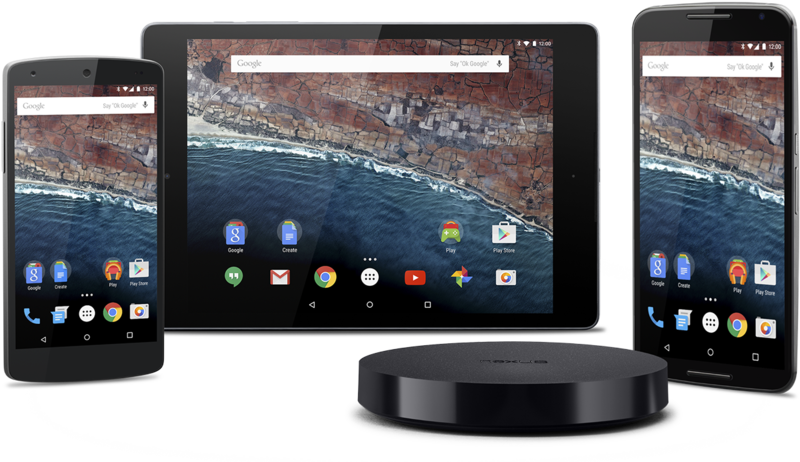 Google even claims that devices running Android M will extend your battery life to upto 2X longer, as they gave us an example of lollipop vs Android M running side by side on Nexus 9. Google also took a moment to say that Usb Type-C will charge your devices more faster & as those connectors are reversible, they provide more user friendly behavior. No need to wander around the right way to plug-in your phone to charge, Anymore. We can expect to see next Nexuses & Android one phones to be equipped with usb type-c.
Also now, when you plugin your device to the computer you will get a pop-up to select regarding what you need to do with the device maybe charge it, file transfers or photo tranfers.etc. Also there are improvements to Volume Controls with a simple drop down to access Media & Alarm volumes. A new direct share feature that let's you share with people, you've recently contacted with & also there are thousands of bug fixes & enhancements performed to polish the User Interface. 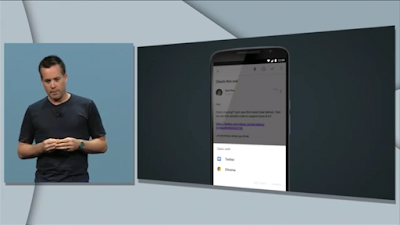 They also dedicated an entire segment for enhancements they've done to Google now, with the feature : Now on Tap. Instead of heading/switching over to another tab in chrome on your smartphone to know a specific information while browsing/listening songs or being in any app, You can now just press & hold the home button OR just swipe up from your homebar(Navigation buttons) keys and Google now will search the word you were looking for automatically, no need to even say, Ok Google, what is ... ? You just get that stuff rightaway! This is Now on Tap feature.They even introduced Touch to search. These were the features that were introduced in Google IO, but what about the features not shown? Splitsceen support, Apps to be installed on SD card.etc, themes( Dark, White), New launcher, Turning on system UI Tuner( Notification toggle's can be customized now) & the notification tray will drop down from wherever you want on tablets( Top part though), also stock keyboard now supports spiltscreen keyboard for larger devices, Google now replaces the Dailer app from lockscreen , Pressing and holding any app to force-stop it makes its way in Android M with addition of one more step.etc. There were many features not mentioned on Google IO 2015( Main keynote), that was the reason i was going to call it Android 5.2, but no.. there are significant improvements & its worth calling Android M( maybe, Milkshake)! Android M lets you install apps, with all data directly to SD card. 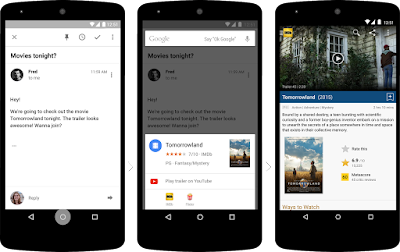 Android M now supports Splitscreen multitasking! Now you can disable Per App basis HUD Notifications! Android now supports Native 4K ! And now Installing an Apk, can be a mess? Auto Backups of Apps to Google Drive, Plus Auto Restoring is also one highlighted feature, that's going to make switching devices easy ! Also see : IOS 9 all features explained! Nice article and interesting content, but please review the rules concerning the use of commas and exclamation point, which were so random to manage to make the reading unpleasant and sometimes also difficult to understand. Thanks for pointing it out, I appreciate it. I've made few notable changes hope you like it.